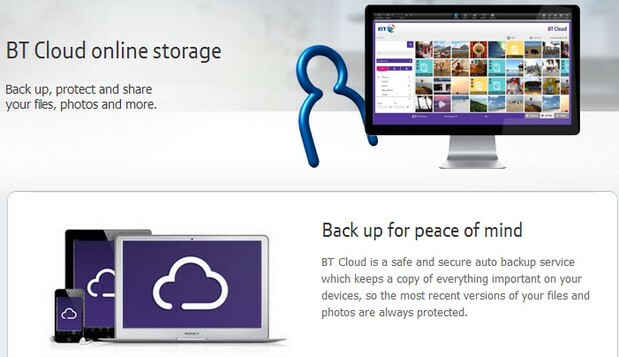 BT has launched BT Cloud, their new new cloud storage service offering access for residential BT Broadband subscribers to their “pictures, videos and other files” from smartphones and tablets. Apps for both iOS and for Android are currently nestling in their respective app stores, with the BT Cloud service being free for all BT Broadband customers. All BT Broadband customers get free BT Cloud. How much storage you get is dependent on what package you choose. Log in to My BT to see how much BT Cloud storage you get or upgrade to 50GB, 100GB, 250GB or 500GB. We’ve just signed up to BT so we presume that we’re not eligible, but after ten minutes of clicking around their site, we gave up trying to find out. Mind you 2GB is a useful enough freebie, but it’s probably too frugal an offering to tempt us off other, more featured platforms like Google Drive and Dropbox.